There is a common mindset that weather satellites float through space mainly to produce pictures for televised weather forecasts, showing us where storms or clouds are. But this is satellite imagery at its most basic. These satellites are actually technological powerhouses that sense and measure so much more about our world than what we see on the news. Weather satellites carry instruments called radiometers that scan the Earth to form images. These instruments usually carry a small telescope or antenna, a scanning mechanism, and one or more detectors for visible, infrared, or microwave radiation. Meteorologists use satellite data on cloud temperature to see how likely and where a tornado may occur, the movement of ice in the Arctic and the amount of moisture in soil, which can indicate the onset of drought. The very first weather satellite was launched in 1959 and offered various types of data based on various onboard sensors. Today’s satellites offer 16 wavelengths of analysis, each representing a specific sensor and a specific target within the Earth’s atmosphere. Joe Basciani, Director of Operations at StormGeo, discusses how far satellites have come. The latest generation of satellites can give meteorologists a vast array of data, from the presence of low clouds and fog at night, to wind speed and the sea state over the oceans, which can be critical when analyzing nascent tropical disturbances. Fred Schmude, Senior Scientist for Long-Range Weather Prediction at StormGeo, also analyzes global weather patterns from satellite data for his team’s long-range weather forecasts. “The ability of satellites to monitor ocean currents, their temperature and composition, is a tremendous benefit. This information provides valuable insights into oceanic temperature patterns across the globe, which is a key tool used by long-range forecasters. Though meteorologists from across the spectrum gain critical insight from satellite data, perhaps none benefit more than tropical meteorologists. Prior to the first weather satellites, meteorologists relied on buoys, passing airplanes or shipboard observers to communicate information about the conditions across the ocean. 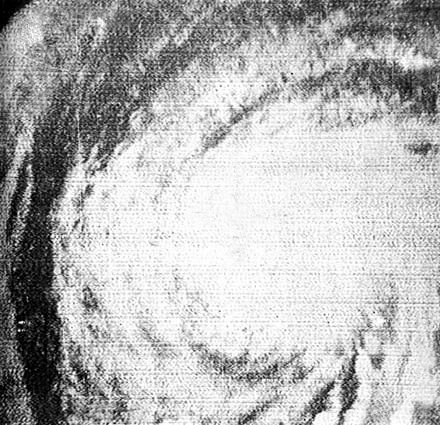 In 1961, Hurricane Esther became the first hurricane to be observed by satellite. Now, tropical forecasters can witness every development across the tropical ocean basins. Perhaps one of the most overlooked benefits of weather satellites is their ability to produce data, year after year, decade after decade, from an infinite number of points across our planet. This data has brought the Earth’s climate into a much clearer focus. From space, observation of our atmosphere, seas and landmasses equates to witnessing and mapping events that were once unknown or thought impossible or only theoretical. Cyclones are no longer hidden at sea, the amount of coverage of ice-pack or a glacier is no longer a guessing game, air quality isn’t subjective and ocean temperature and current are no longer calculated at the point of the buoy. 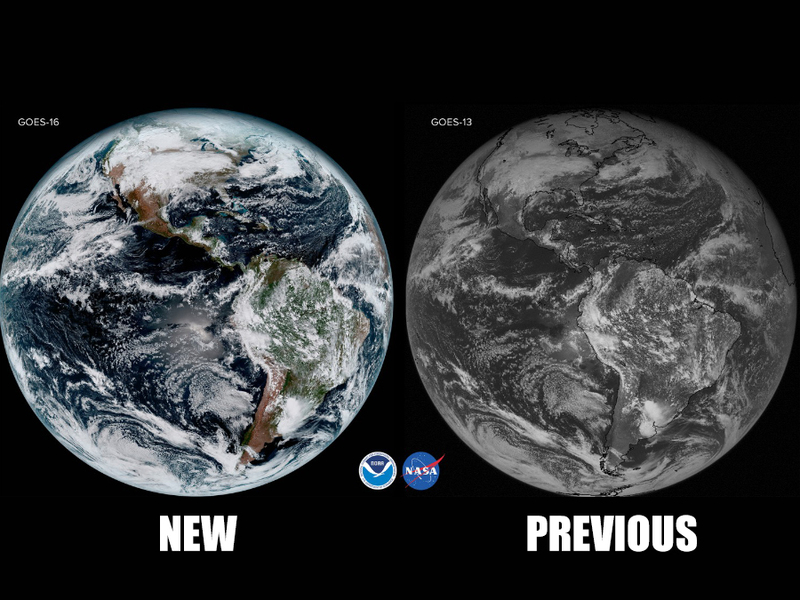 Learn more about weather satellites here, or read about the current generation of weather satellites, GOES 16 and GOES-17. 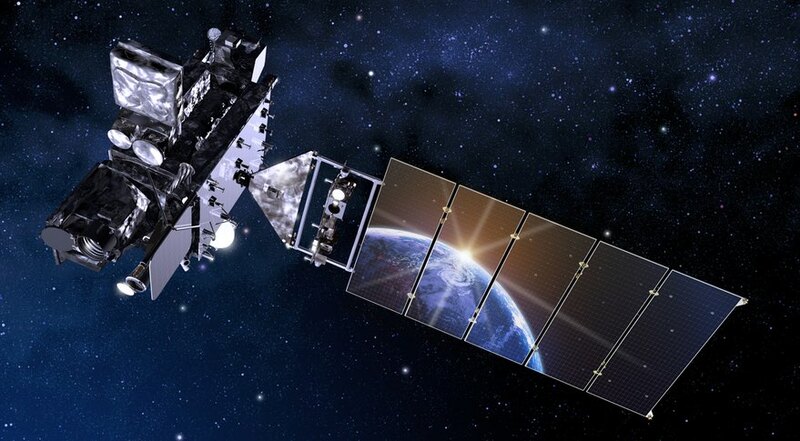 GOES-T (expected to launch in 2020) and GOES-U (expected launch in 2024) will be part of the continuing development of weather satellites.